A very experienced malware researcher, going by the nickname hasherezade (@hasherezade) has released decryption instructions for the victims of DMA Locker ransomware. The 3rd variant of this ransomware virus has been first detected back in May, and when it was released, it had even stronger encryption than it’s predecessors. 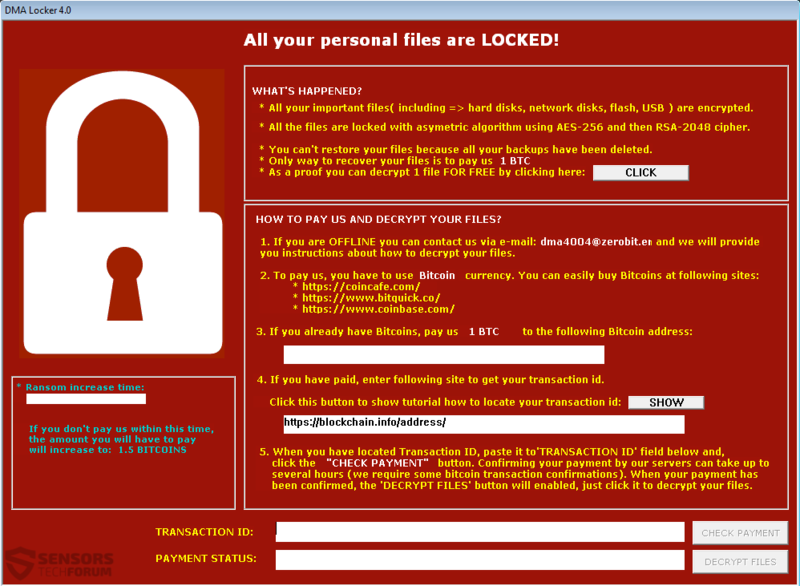 The virus demands 4 BTC in ransom payment after it encrypts the files of the infected computer, denying all access to them by the user. The previous versions of the DMA Locker virus had multiple flaws which made the enciphered files easily decryptable. 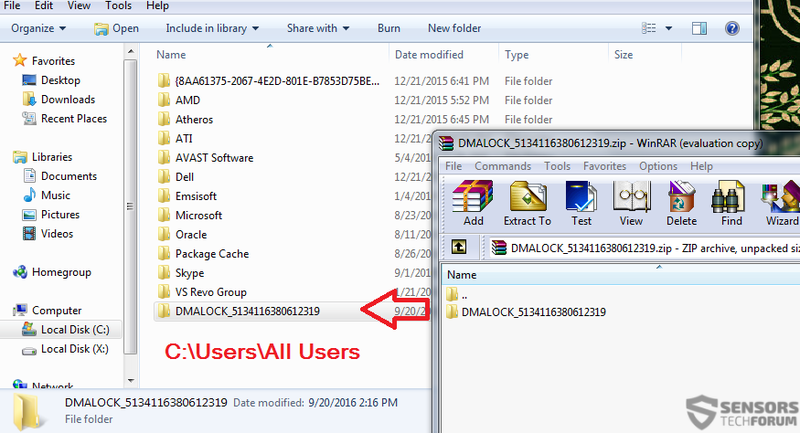 This pushed the malware writers behind it to develop a more sophisticated version of the virus, named DMA Locker 3.0. This ransomware is particularly interesting primarily because it ais primarily to check for several key Windows processes such as ShadowExplorer.exe, sesvc.exe, cbengine.exe and rstrui.exe all connected with Windows backups. Before we begin the decryption process, it is strongly recommended to follow these instructions. 1. 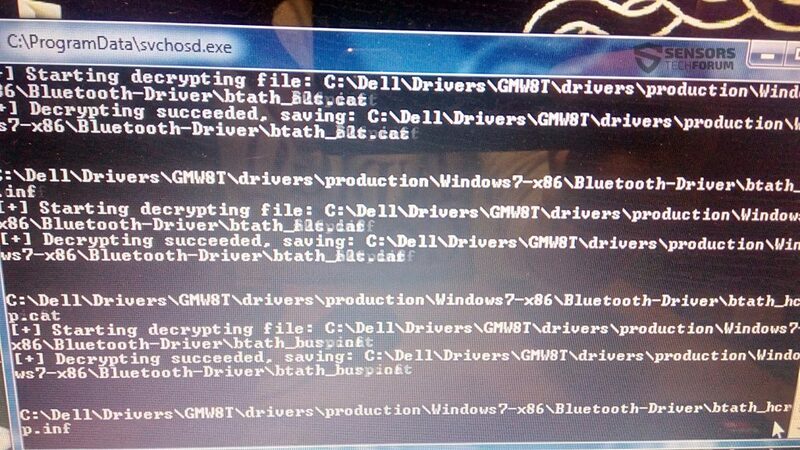 Make more than one backup of the encrypted files. 2. Create a recovery dump of Windows just in case it crashes so you can restore it easily. 3. Do not insert any flash drives with important information on the infected computer since they may get encrypted as well. 4. Realize that you are doing this at your risk! After these are kept, we can continue with the decryption instructions. 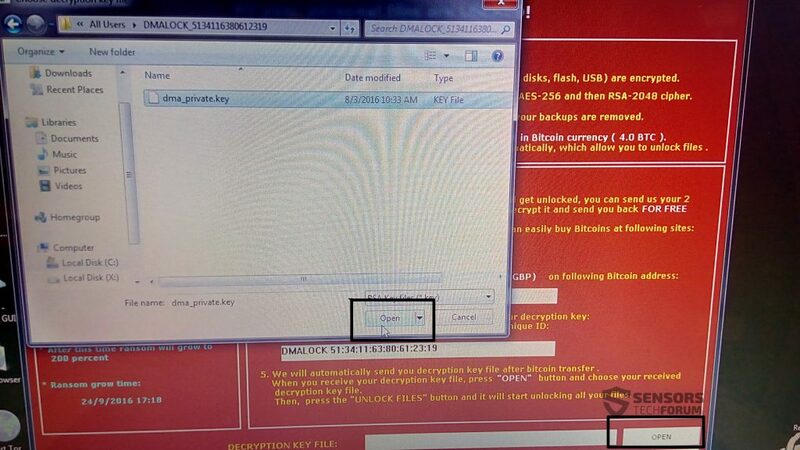 To decrypt the files for a particular DMA Locker key, it is important to know what you will be doing, first. The brave malware researcher who reported these variants are decryptable, @hasherezade has come up with a modified variant of DMA Locker which also causes an infection on your computer so be prepared because your PC may restart and have a BSOD as a result of executing these files. This is why we are not responsible if you haven’t followed our instructions in the red box above. Save the file somewhere where you can easily find it and open it. For you to open it, you will need a program such as WinRar which can be found for free online at rarlab.com. It will ask for a password upon extraction. The password is “infected”. Step 4: Then, bear in mind that after the executable runs, your computer may cause a BSOD and restart after which display an error message and the files will be encrypted. Nevertheless, it will also display the DMA Locker’s so-called “user interface” screen. There you should see an “Open” button. 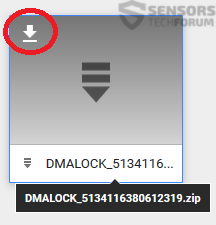 Simply press it and navigate yourself to the DMALOCKS folder to open the dma_private.key button. The malware researcher also advises affected users to perform the same activity on each enciphered machine if the machines are a part of a workstation group. Those who were able to get their files decrypted by these variants of DMA Locker are in luck because there are much more out there who cannot decrypt their data. Still, we at SensorsTechForum will keep track on latest developments involving DMA Locker and decryption possibilities. In the meantime, recommendations are to follow several simple tips to keep yourself protected in the future and avoid ransomware devastators such as DMA Locker 3.0. 1. Follow these general protection tips. 2. Download an advanced malware protection program. 3. Download a relevant ransomware protection program. 4. Download a relevant cloud backup program that backups copies of your files on a secure server and even if your computer is affected you will stay protected. I have another variant, DMALOCK 70:66:83:50:68:23:73:25. I have all 3 versions you have on a test file but they don’t work. What can I do to help so we can get this 70:x version unlocked as well? To all who have been infected with DMA Locker. Bear in mind that these instructions are only for those 3 DMA locks. If you want to look for decryptors for your DMA Locks, make sure to follow malware researchers involved witht his virus, such as @hasherezade on Twitter, for example. Furthermore, you can also try alternative tools tor restore your files, like using data recovery software, for example. We had maybe 60% of our stuff backed up, which isn’t good numbers considering some of the items missing. Has any thing changed since this article was written about DMA Locker 3.0/4.0 concerning decryption? 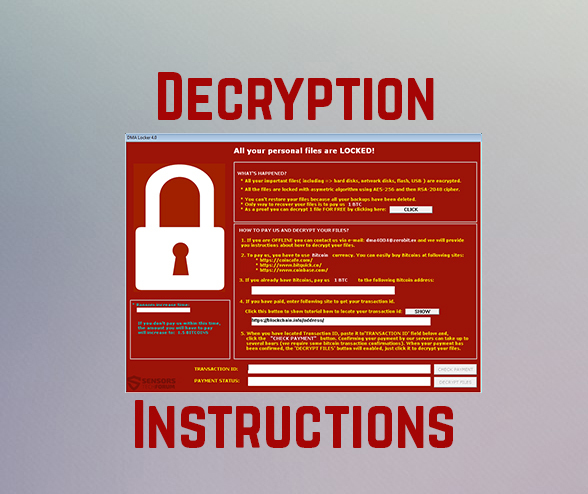 Hey !, I found this information for you: "Decrypt Files Encrypted by DMA Locker 3.0 Ransomware". 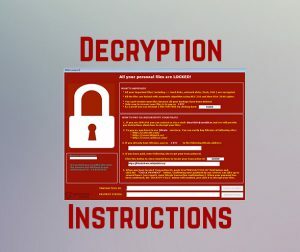 Here is the website link: https://sensorstechforum.com/decrypt-files-encrypted-dma-locker-3-0-ransomware/. Thank you.